Our Tectorian of the Week is: Checkfront! They just announced a collaboration with Google Cloud Platform that will combine the power of Google’s infrastructure with Checkfront. Google cloud is used by great companies such as Shopify, Snapchat, Wix and Fullstory. Under the program Google has generously contributed $100,000 to help grow Checkfront’s infrastructure! This money will allow them to continue to scale their real time online booking system. 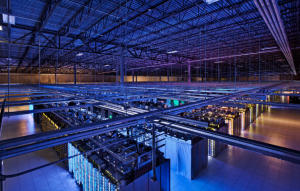 Additionally, Google is working directly with their team for technical training, architecture overviews and mentorship. A big congrats to the entire team at Checkfront! Our Tectorians of the Week is: HP Advanced Solutions, northStudio.com and Schneider Electric! Why this awesome trio? They’re sponsoring the upcoming iWIST Science and Tech Crawl on April 27th! Attendees will get to visit six amazing STEM organizations in a pub crawl style format. The fee includes hosted tours/talks at six science, engineering & tech companies, bus transportation, lunch and a wrap up with appies and prizes. About iWIST (Island Women in Science & Technology): Founded in September 2011, this 100% volunteer powered group of over 300 members organizes events every two months where women in STEM fields can connect, exchange views and network together. Our Tectorian of the Week is: Change Heroes! 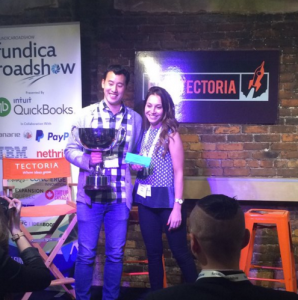 Change Heroes made an impression at the Victoria stop of the 2016 Fundica Roadshow, winning the audience vote AND the judge’s selection for the grand prize! As a result of a very strong pitch in front of a panel of VCs, Angels, banks and government organizations, Change Heroes wins roundtrip airfare to pitch to investors in the valley, 3 months office space in San Francisco, plus cloud and accounting packages to help their business. Change Heroes is the leader in peer-to-peer fundraising, and now they’re helping as many fundraisers as possible to visit the site of their impact, to meet locals, to build the house, to walk the halls of the schools. With the help of their video-first fundraising technology platform, their charity partners raise four to five times their typical amount while building a strong millennial donor base. Congratulations to Change Heroes! Learn more about them here. Our Tectorian of the Week is: Tourism Victoria! The team at Tourism Victoria have been very busy with press outreach lately. Because of their efforts, Victoria was featured in The Toronto Star and Vogue Magazine articles… in the same week! This is huge press for “Cool Victoria”. On April 3rd The Toronto Star published an article titled “Cool Victoria is no longer for the ‘newlywed and nearly dead.‘” The author explored the city and interviewed local entrepreneur Bruce Livingstone of Stocksy United as he descriped the quality of life and that Tectoria is good for business. Shout outs were also given to popular establishments including Hotel Zed, Little Jumbo, Smoking Lily and the Fairmont Empress. And today our sleepy eyes got bright with the realization that Vogue Magazine 1). Knows where Victoria is, and 2). Knows all about “Tectoria”. 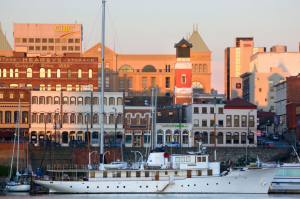 Titled “Why Victoria, British Columbia, Should Be Your Next Weekend Getaway,” this article covers Victoria’s great climate, real estate market, hospitality and tourism, and of course, the entrepreneurial spirit of our 900+ tech company city, Tectoria. Sit back, have a read, be proud of where you live and thank Tourism Victoria for going the extra mile to attract new visitors to our home. If you don’t like it when more visitors flock to your home, then we apologize for shedding a light on these tragic stories. 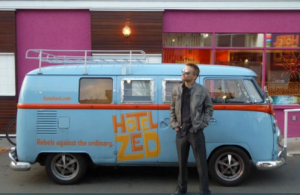 Our Tectorian of the Week is: Flytographer! Flytographer turns three today and we can’t believe the amount of success they’ve had in such a short period of time. 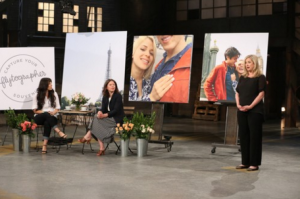 In the past year alone they were on an episode of the Dragons’ Den (making the tough decision of turning down a deal), and they scored an incredible GLOBAL contract with the Fairmont line of hotels. Most recently, the queen of ‘favourite things’, Oprah, named Flytographer an ‘ingenious travel hack’ on oprah.com! Tectoria can’t wait to see what the future holds for this local startup success story.